Interested in a summer job with California Family Fitness? 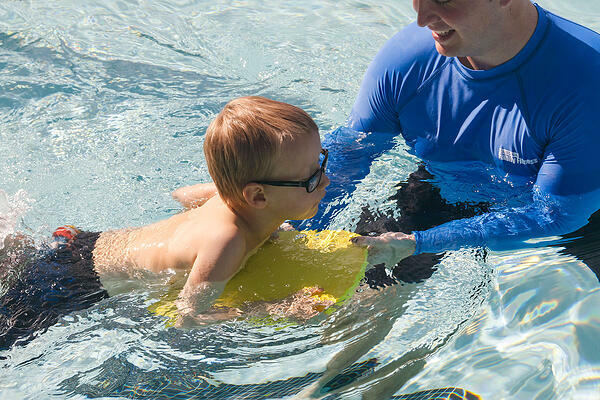 We'd love to help you learn to teach swim lessons! Find out what it takes to become a Cal Fit swim instructor below. All swim instructors and pool management staff are required to hold Lifeguard and Aquatic Swim Instruction (ASI) certifications. As a Cal Fit employee, these certifications are provided at no cost to you -- a $400 value! Maintain position on back 1 minute in deep water (floating or sculling). Tread water for one minute. Get started now with ASI classes! Each session includes three classes, materials, and CPR & AED certifications. Please come prepared to get in the pool and swim. Bring snacks, water, an extra towel, and a warm change of clothes. Participants can attend any session to become ASI certified. 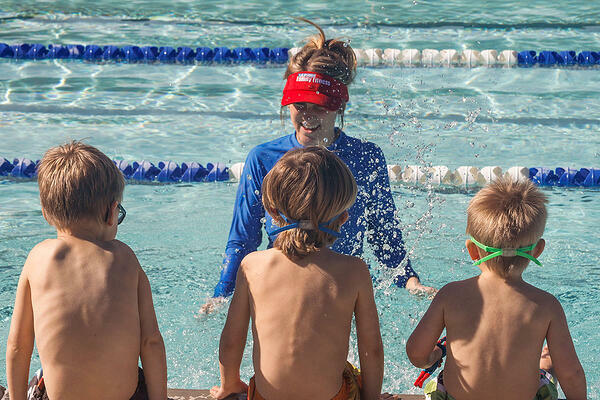 All swim instructors are required to be lifeguard certified. For certification, they must attend both days of the course and register and complete all of the online work prior to the start of the course. Participants can attend any session to become Lifeguard certified. For more information or to register, email us at swim@calfamfit.com before attending a session.